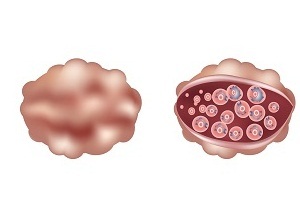 Polycystic ovary syndrome (PCOS) is a common hormonal disorder in women. It occurs generally in women between the ages of 18-44 years. It is estimated that about 2-20% of women of reproductive age suffer with this disease. It is considered one of the leading causes of infertility in women. How to Know if You Have Endometriosis or Polycystic Ovarian Syndrome? Endometriosis and polycystic ovarian syndrome (PCOS) are common disorders in women that affect about 10 percent of women worldwide. 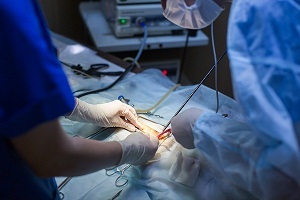 The conditions particularly occur in women of childbearing age. These problems can be quite painful and it can be very difficult to cope with them, still they are often hard to recognize. What are the Signs and Symptoms of PCOS (Polycystic Ovary Syndrome)? Symptoms of PCOS develop due to high levels of male hormones called androgens that are present and circulate in the body. The symptoms often appear around first menstrual period during puberty. Sometimes, the early signs may develop in later stages as a response to weight gain. Signs of polycystic ovary syndrome may vary from person to person. What Causes PCOS (Polycystic Ovary Syndrome)? 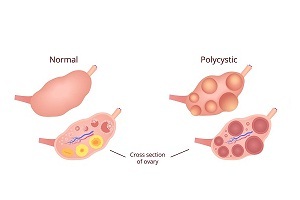 Polycystic ovary syndrome also called PCOS is a hormonal problem which affects females in their childbearing age. Many women do not even know that they have the disease. About 70% of women suffering from PCOS had not yet been diagnosed, as reported in a study. 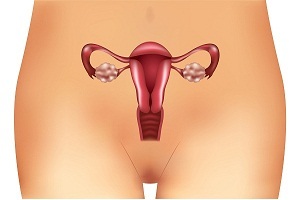 Ovaries are generally affected with PCOS. There are no fixed tests for the diagnosis of PCOS. Your doctor may ask questions about medical history and family history of this disease. The doctor may ask questions related to patient's menstruation cycle and weight changes. A physical examination is done to observe the growth of hair and acne. What is the Treatment for PCOS (Polycystic ovary syndrome)? There is no cure for polycystic ovary syndrome (PCOS) but the symptoms can be managed. Treatment options vary from person to person because of the wide range of symptoms that may differ among patients. Overweight and obese women are at higher risk of developing the disease and related long-term health complications.